Al-Qaeda leader Ayman al-Zawahiri’s video announcement launching an al-Qaeda wing in the Indian Subcontinent is almost certainly part of the organization’s efforts to compete with the Islamic State (IS) in Iraq for recruits, money and ideological supremacy. The recent military gains by the IS—an al-Qaeda breakaway group–in Iraq and its increasing efforts to recruit militants from South Asia has apparently led to concern among al-Qaeda leaders that it will be eclipsed by IS. Al-Qaeda now has five official affiliates, including al-Qaeda in the Arabian Peninsula (AQAP), Jabhat al Nusra in Syria, al Shabaab in Somalia and al-Qaeda in the Islamic Maghreb (AQIM). It is noteworthy that Zawahiri reiterates his oath of allegiance to Afghan Taliban leader Mullah Omar in the video releasedWednesday. Zawahiri may be trying to convey that the al-Qaeda/Taliban nexus in South Asia is alive and well and still has ideological sway in the region. The Taliban is a proven fighting force that has survived a decade of U.S. and NATO military intervention and affiliating itself with the movement gives al-Qaeda credibility. There have been earlier signs of al-Qaeda seeking to reposition itself in the region and appeal to a broader swath of Muslim communities. In January, Zawahiri released an audio message calling on Bangladeshis to rise up against the state. His speech, titled, “Bangladesh: Massacre Behind a Wall of Silence,” was produced by al-Qaeda’s as-Sahab Media Foundation and was posted on several different jihadi forums. In September of 2013, Zawahiri also addressed the issue of Muslims in Bangladesh in a speech on the twelfth anniversary of 9/11. 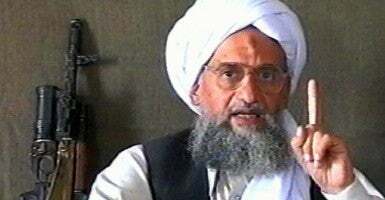 Zawahiri’s focus on the Indian Subcontinent bears watching but may not be grounds for alarm. Al-Qaeda’s hardline message is unlikely to find much appeal in India, where democracy, free speech and pluralism thrive. Kashmiris, even though they are alienated from the central government and bristle under a heavy Indian security force presence, are unlikely to heed the call of al-Qaeda. Kashmiris have a tradition of practicing Sufi Islam, which is anathema to al-Qaeda’s austere and hardline Salafism. Bangladesh is experiencing political turmoil, and the government is pressuring the main Islamist political party by handing down death sentences to several of its leaders through a war crimes tribunal and revoking the party’s registration. However, a previous attempt by jihadists to make inroads into the country nearly a decade ago failed. The biggest concern of U.S. policymakers in the region should be the potential for the Taliban to make gains in Afghanistan as the U.S. and NATO forces draw down. If the Taliban regains territory and influence in Afghanistan, al-Qaeda also will regain its safe haven there. This means President Obama must reconsider his timetable for withdrawing U.S. troops from Afghanistan. Obama wants to be remembered as the president who ended two wars. However, if the administration does not adopt effective strategies in Iraq and Afghanistan, he is more likely to be remembered as the U.S. president that allowed parallel jihadist movements to thrive in two pivotal countries.